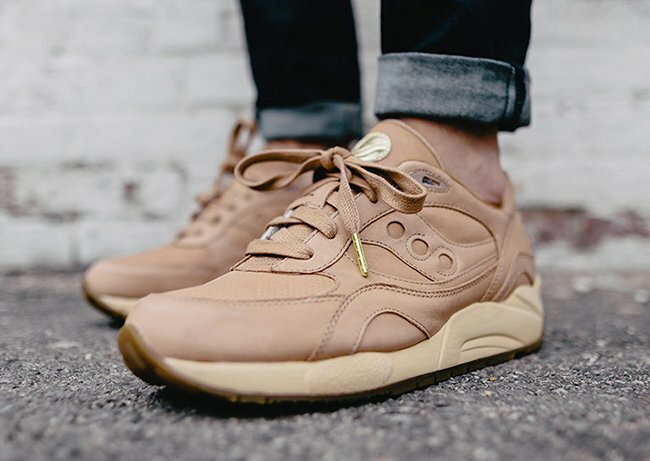 With the weather starting to heat up in select areas, Saucony is getting ready to launch a new pack. 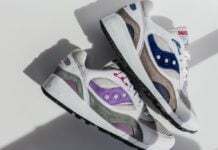 Showcased is the Saucony Veg Tan Pack which will contain two models. 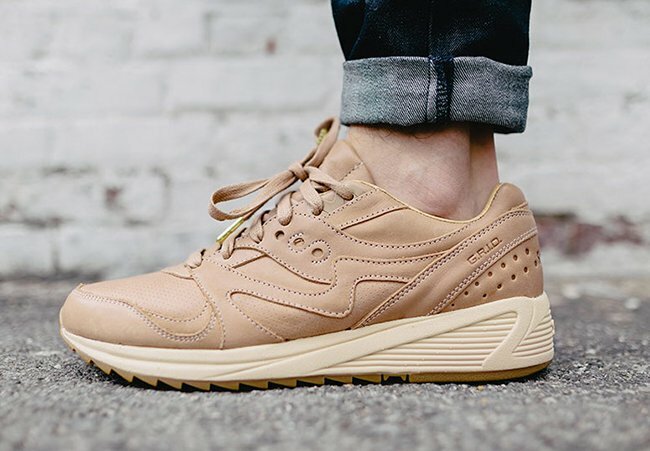 The Veg Tan Pack features the Saucony G9 Shadow 6000 and the Saucony Grid 8000 CL. 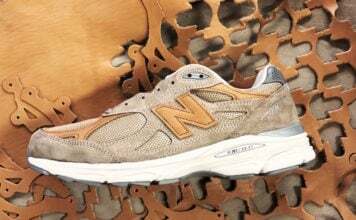 The two are built with vegetable tan leather across the uppers while Gold is placed on the tongue branding and lace tips. Other highlights include Light Beige on the midsole while Gum covers the outsole. 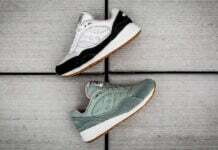 Below you can check out a few more images of the Saucony Veg Tan Pack which will show you how the G9 Shadow 6000 and the Grid 8000 CL looks on feet. The two will release at select Saucony retailers on May 11th, 2017. One of the stores you can purchase from is END Clothing. Make sure to visit the comments section with your thoughts on the two.